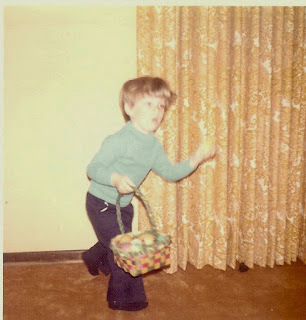 When I saw this little Easter action shot by Husband I KNEW I needed an excuse to post it. Is it his little bell bottoms? His mock turtleneck? The fact that my mother-in-law still had these drapes when we got married? I don't know, but this is one cute photo. Maybe it's the fact that this photo was taken a whole 18 months before I was BORN that is so fun. I do try to balance Husband's Brady Bunch era photos with a few 80s highlights of my own. 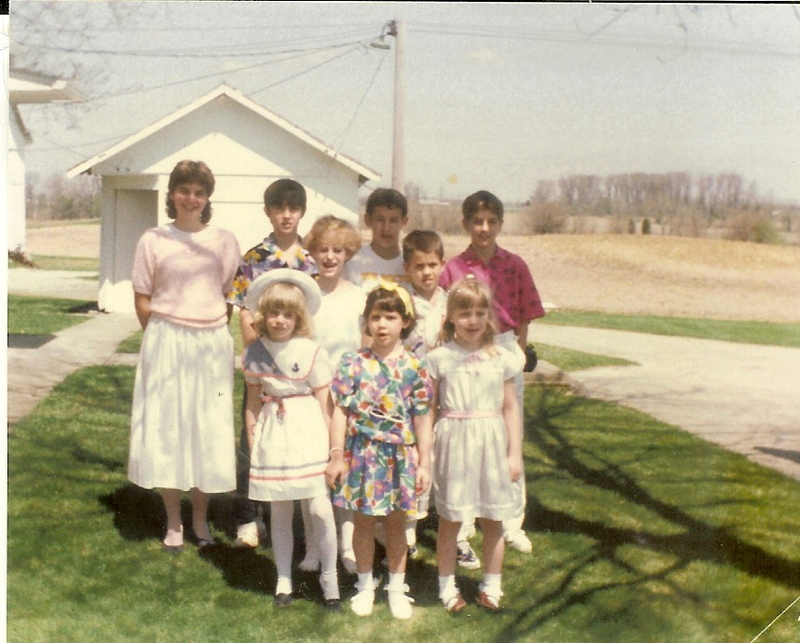 This is me (left) with my six cousins and two siblings at Grandma's house, Easter 1987. 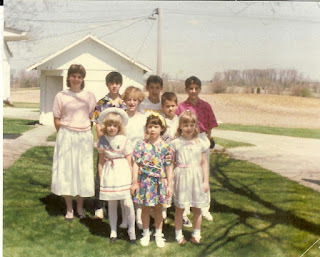 My little sister is in the front left in a hat and my bother in the back right in a pink (!) shirt. I've always been fortunate at Easter to be surrounded by family, to have plenty of good food and to have someone else to cook most of it. Thank you to my grandmothers for decades of homemade noodles and pies. Thanks to my mother-in-law who hasn't lost sight of the fact that holidays warrant china, the good silverware, tablecloths and passing food until your arm falls off. I'm looking forward this year to taking the embarrassing, retro Easter photos of 2032.